Fried Prawns recipe by Sumaira Akram at PakiRecipes.com. 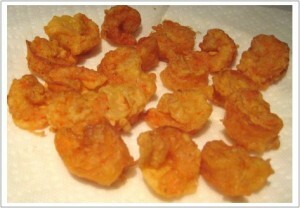 Mix prawns with all the above ingredients except corn flour and white flour . Dust the prawns with the flours and deep fry.